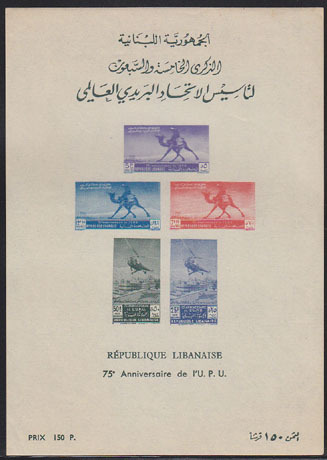 2809 ND LEBANON (1949) Camels. Helicopters. Imperforate S/S of 5. UPU 75th anniversary. Scott No C149a. 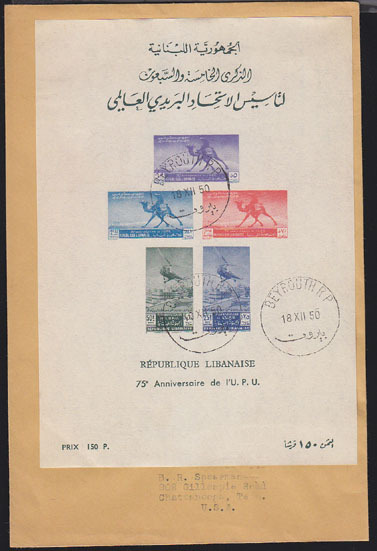 2810 ND LEBANON (1949) Camels. Helicopters. 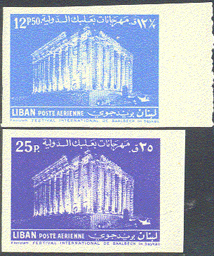 Imperforate S/S of 5 used on envelope. UPU 75th anniversary. Scott No C149a.